When I was young, my parents were very concerned because my appearance and attitude resembled that of a boy (until now , really) so they took great pains to ensure I looked like a girl, or at least made people think it. They made efforts more so when we travelled. They belong to the generation where people dressed “smartly” when travelling and enforced this on us. There was a time during my late teens that I rebelled against this and wore birkenstocks, ripped jeans, board shorts and tank tops while travelling. Though I felt really cool, that phase didn’t last very long. Travel these days can be practically barbaric: Space is cramped, in-flight meals are lackluster, and premiums are charged for everything from checking bags to watching TV to munching snacks. The weary traveler has little control over these things, but he can control his own outfit—and feeling handsome amid all the inhumanities can be powerfully heartening. What’s more, traveling, despite its continuing degradation, should be exciting—it’s a special occasion! I also like shopping for cosmetics at airports. 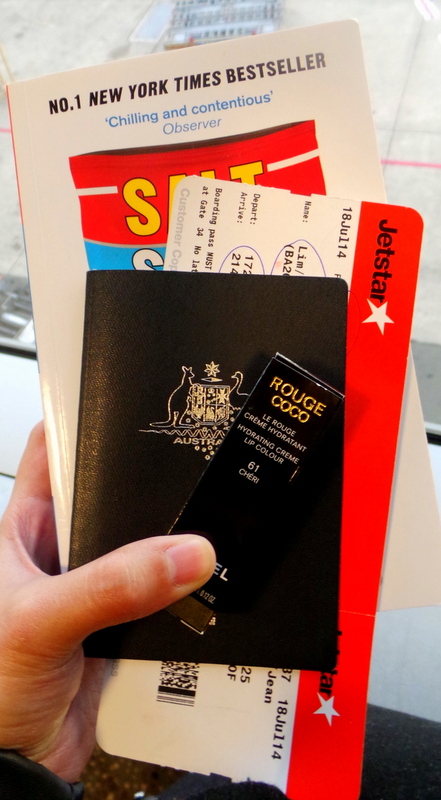 I was once embarrassingly paged at Melbourne airport for boarding because I lost track of time at the cosmetics section of Duty Free! boarding pass and passport, check! book, check! new lipstick, CHECK! I always get something from DFS (Duty Free Shopping). It’s so hard not to! I’m sure I’m not the only one who falls for shopping at airports. Travelling gives me a high so it’s just natural that I hit the cosmetics too. 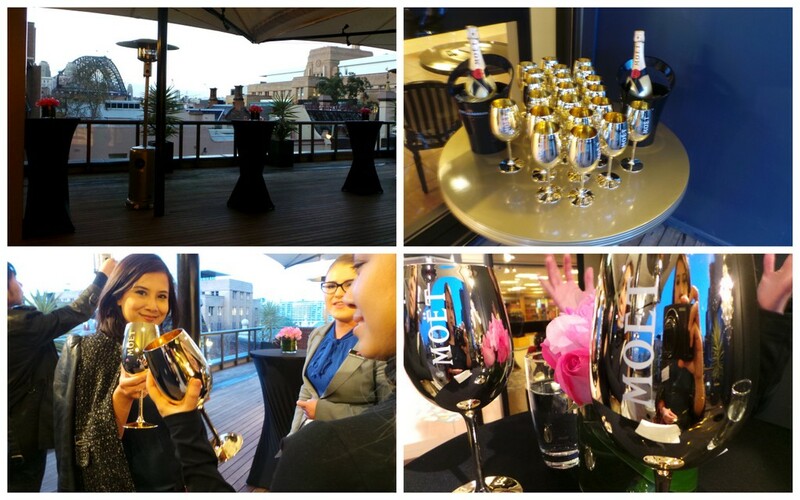 I was at the DFS (Duty Free Shopping) First Class launch event last week. And I was only all-out enthusiastic to be invited because I greatly support and believe in bringing back the beauty and ‘romance’ of travelling. 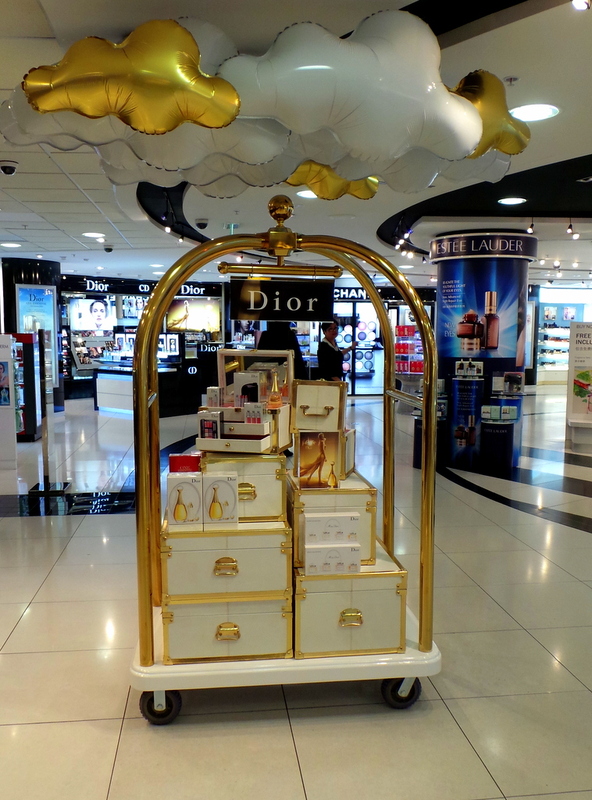 Until 21 September 2014, five international airports and 14 Galleria stores across nine countries, including DFS Galleria Sydney will be celebrating and showcasing the best in makeup, skincare and fragrance when travelling. Participating DFS Galleria branches include Auckland, Bali, Guam, Saipan and Sydney. 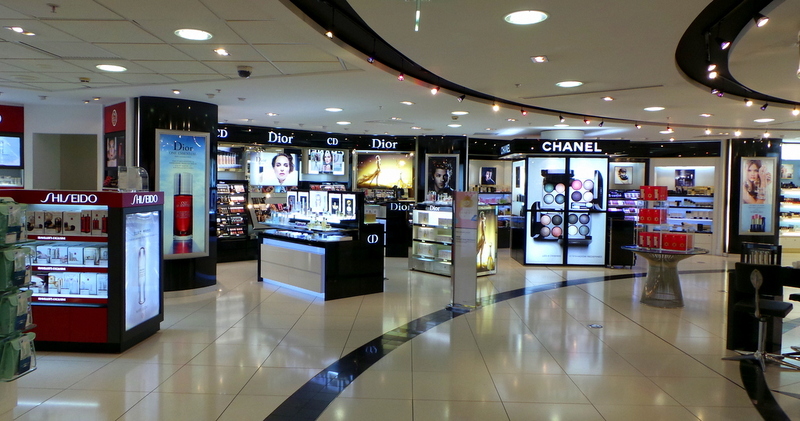 Participating DFS Airport shops are in Abu Dhabi, Auckland, Hong Kong, Jakarta and Los Angeles. 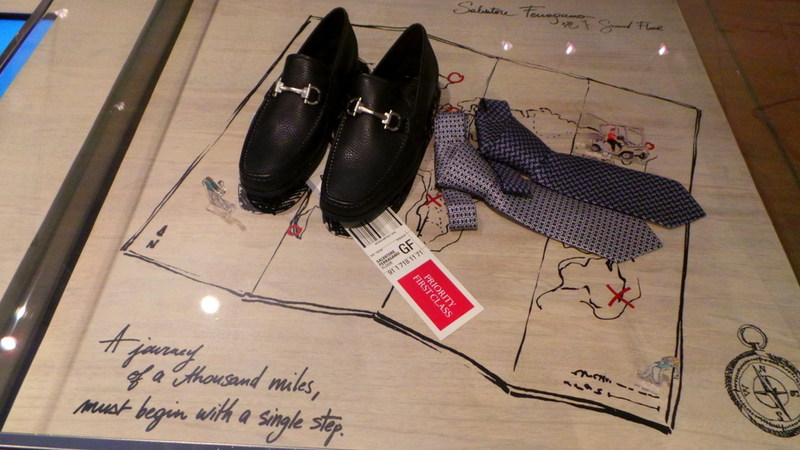 Looking at all the merchandised luxury goods will definitely bring out the grandeur traveller in you. And travelling well always starts by feeling good about oneself. 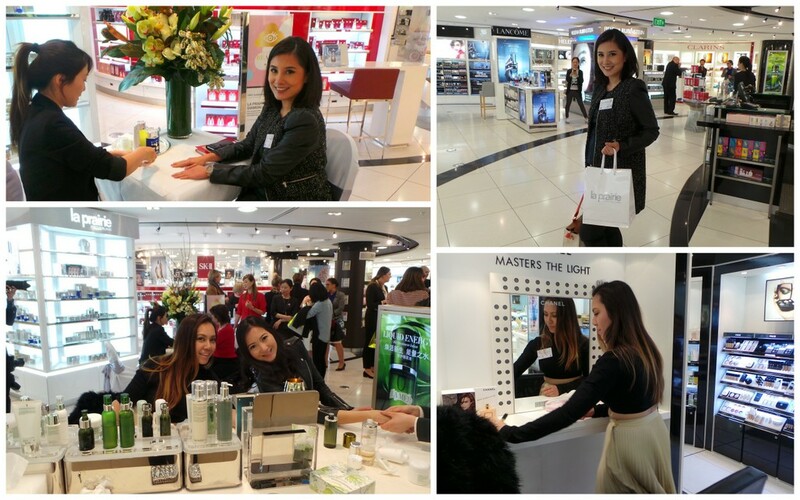 DFS Sydney – First Class Beauty Event. Giant, marvellous Moet goblets! And even though I wasn’t really boarding to fly anywhere, I still got a high when we were told to go nuts and explore all the cosmetic brands in DFS. With no boarding call to keep in mind and no time limit, we took off in different directions. Like Charlie inside the chocolate factory, I was overwhelmed and didn’t know where to start. And in between playing with swatches of lipstick and eyeshadows, I learned a very important information when shopping at DFS. For example, out on a whim and due to shopping under time pressure, you buy a pair of Dior sunglasses at DFS Hong Kong before boarding. And upon reaching Los Angeles, you realise that the shade and shape of the sunglasses aren’t exactly your style. Yes, you can exchange it in Los Angeles. I also took the time to get some beauty tips. I always marvel at how glamorous the ladies behind the cosmetics counter are. One lady in particular, looked really regal and fresh despite the late night hour. I asked Sansan what her beauty secrets are and she said to always moisturise under the eyes and use a special eye cream. She says it doesn’t matter what brand, but don’t use your regular facial moisturiser as eye cream. I admit I’m sometimes lazy in applying eye cream but looking at how young Sansan’s skin is, I will now religiously apply it! She also stressed the importance of going for quality brands. 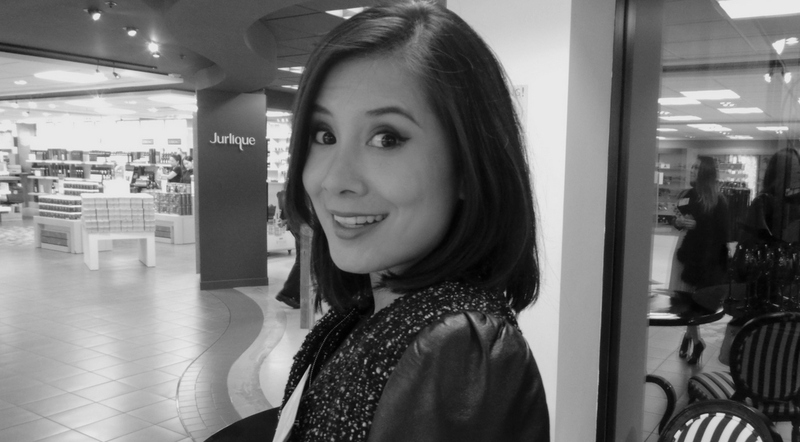 She didn’t try to sell me any brand, just emphasized that many women hesitate in spending on facial brands (moisturizers, treatments and eye cream), and later spend thousands on artificial enhancements. What she said made sense, and in the long run it’s always cheaper to prevent than to artificially un-do something. These two brands are pretty much the Rolls Royce (or whatever is higher than Rolls Royce) of skin care. Averaging at AUD 400-AUD 2,000 a pot for these moisturizers, Sydney has long awaited its arrival. “So what makes La Mer so expensive?”, I couldn’t help asking the La Mer counter lady. 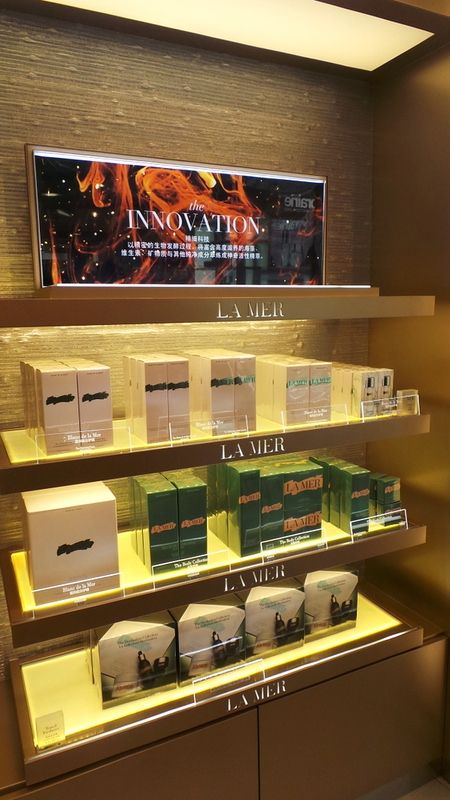 She eagerly told me the history and discovery of La Mer. Dr Max Huber was a physicist for NASA who suffered some serious chemical burns to his skin from a lab accident. He couldn’t find anything in the market to heal his scars. So he formulated his own miracle formula (it only took the man 12 years!). And apparently the special ingredient (seaweed?) used manual labour to be picked and processed. J.Lo apparently uses this cream (this cream that ladies worldwide SAVE months to buy) all over her body. 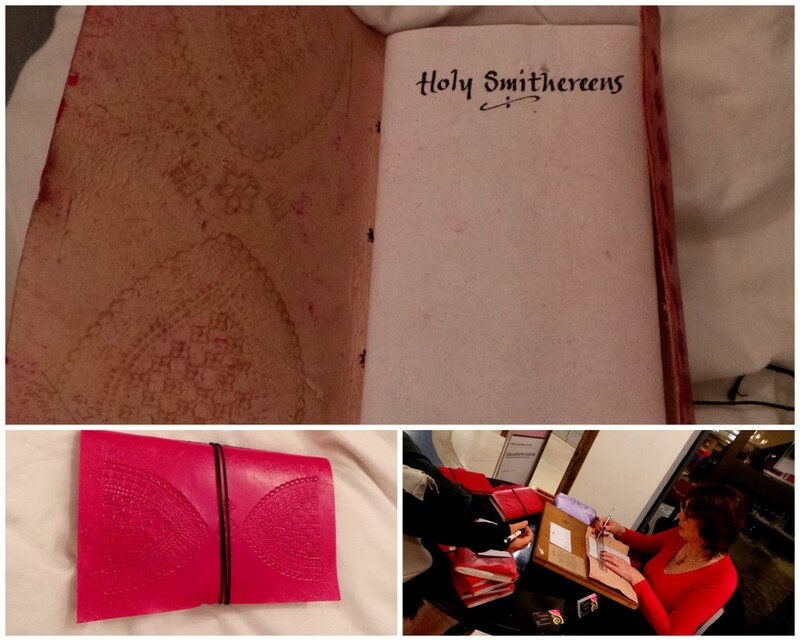 And to really bring back the romance and tradition of travel, we were given leather journals and a calligrapher was on hand to personalise it for us. It’s really apt for me because this is how I’ve started documenting my travels. Long before the age of blogging and internet, I used a huge Lisa Frank notebook to write my thoughts. And now whenever I travel or go on press trips, I still use a notebook to jot down notes. I’m an old school at heart so I really appreciate this journal take away! 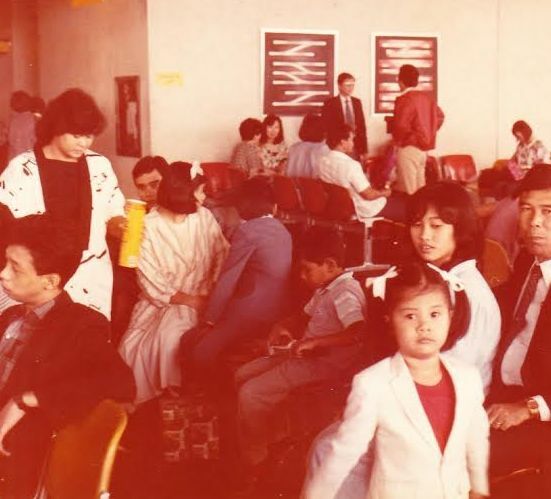 If anyone is travelling to the participating airports until 21 September, go have fun exploring and reminiscing about the old wanderlust romance of travel! And even if you’re not travelling soon (If you can show an international ticket travelling within 3 months time), you can also head to the nearest DFS Galleria, where shopping is more relaxing. What skin care brand do you swear by? I’d love to know! What a fun event! For skincare I love Kiehls myself as it doesn’t have fragrance and for makeup I love Chanel. 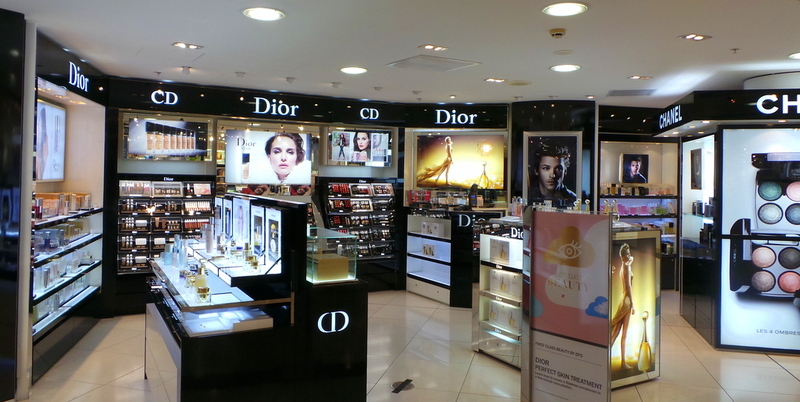 What a great experience, Im with you on the lingering around the cosmetic counters before boarding, for some crazy reason I always seem to find a new perfume just as Im meant to be boarding. Looks like fun. Those duty free shops always such me in too!